I spent quite a bit of time on this design finalizing it and making theme worthy of Halloween. This all started 3 years ago. I knew I wanted this design to eventually end up on shirts but I just didn’t have all the details I would need. I wanted it to pop, I wanted it to be fitting, I wanted it to be classic. And this week I finally took the time out to sit behind the computer and add all the elements I needed to make this design work. And I really like how it all came together. The distress of the ink and glow of the words. I walked around from varies stores looking and examining what kind of details they use. And I must say the Disney store was the most help of all. I helped me develop a adult design with a fun feel. I can’t wait to burn the screens and play with the ink on this design. It will be up for pre-order in the store soon and will be mailed out all before Halloween for everyone to enjoy. for one of the Teams making it to the finals this year. nick name the Splash Brothers. This design will be produced in limited amount. So I would suggest getting your before they sell out. Pre Orders will be listed today. In correlation with our The American Dream shirt releasing on the 23rd, we have also designed a nice pair of leggings for the ladies to wear. Currently we have a link to Pre-Order you pair just in time for Memorial Day. All these leggings are custom made. No single pair will be exactly the same. But the most important part about them is, they are One Size Fits All. As this brand slowly grows, I find myself venturing in new areas. Recently we have been experimenting with ladies fashion. When it’s all said and done I want this brand to be more than just a “shirt line”. I want to see how far I can take this. With leggings being something that will never die out, we are making custom prints with some of our signature designs. Here is a peek at some of the things you can look forward to adding to your closet in the near future from Broken Bank Clo. 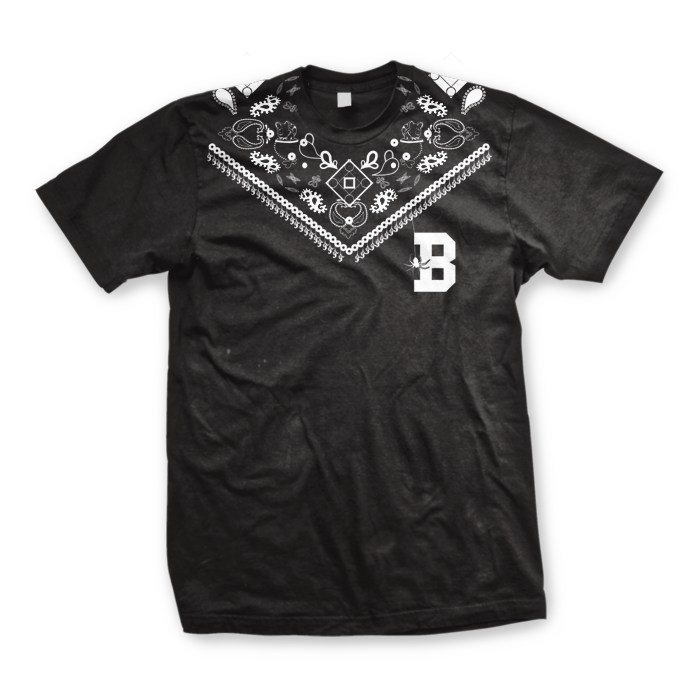 Our Black Market Collection will intel Broken Bank Clothing with a darker twist on it. The 1st design from the Black Market Collection is our Web of Deceit crew. Custom printed bandana wrap around design. Our website will have a link for Pre-Orders tomorrow.